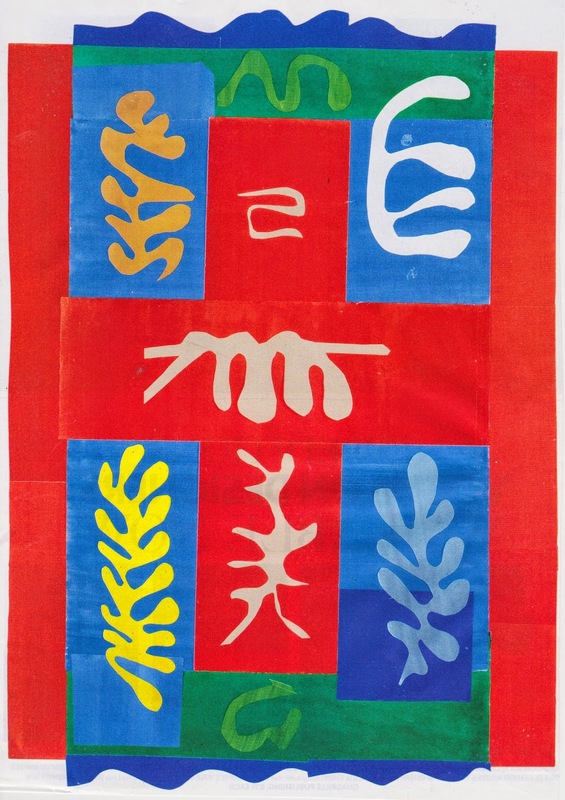 If you are in the New York area, Matisse: The Cut-Outs is currently on exhibition at the Moma, through February 8th. It is a must see! This many of Matisse's cut-outs have not been together since Matisse' death in 1954, when they left his apartment. In 1941, during the bleak period of WWII, Matisse was diagnosed with intestinal cancer. Being confined to a wheel chair, he pressed on with his art. Surviving the cancer felt as a second life to him. 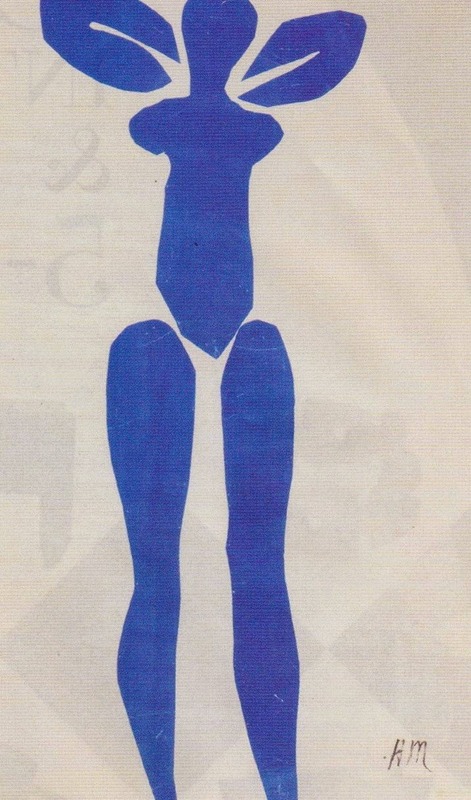 Matisse compared his new medium of cutouts to a sculptor cutting into stone, only he was cutting into paper. 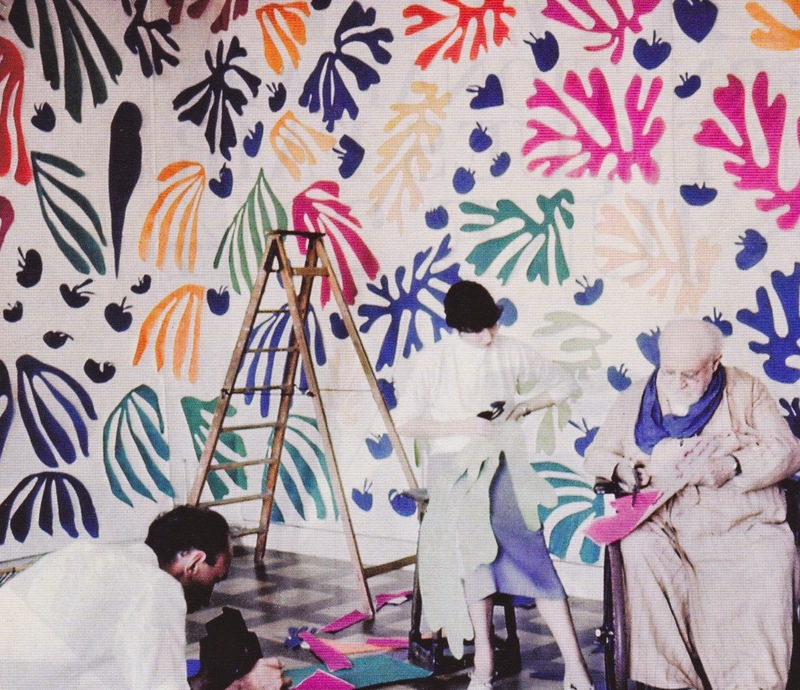 Matisse's nurses arranged the cut-outs around his room to create his works of art.